Take a look at all the latest news from CDC Garage Doors. Ensure you check back for updates and great tips on all of our products. 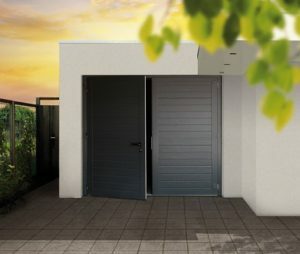 In addition to providing high insulation values, our insulated DuoPort leaf doors offer you the possibility to use your garage as a utility room, for leisure time or hobbies. You can choose whether to open both door leaves or only the active leaf, depending on your particular requirements. The use of high-quality and durable materials, top-quality processing and a wide variety of additional fittings give your garage a classic appearance in keeping with the style of your house and your personal taste. All door leaf frames are made of aluminium and guarantee maximum weather resistance, while robust hinges provide long-term, dimensionally accurate opening and closing. © CDC Garage Doors 2019 All Rights Reserved.